Yesterday Damian Lau, Tavia Yeung, Ron Ng, Kenneth Ma, Rebecca Zhu, Vincent Wong, Jess Shum and the other cast of TVB anniversary series Silver Spoon, Sterling Shacklestook part in the promotional event. The three couples from the series were dressed in wedding attire. When Kenneth read out the marriage vow to Rebecca, he frankly expressed he's in a rush to go to the 'bridal chamber' (洞房) and then joked to his 'love rival' Ron Ng, "I get her body, you get her heart!" This left Ron in embarrassment. During the games, the grooms were blindfolded and had to guess who their bride was by feeling their hands. Kenneth appeared very antsy, no matter if it was a man or woman, he grabbed everybody's hand to touch. In the end, Kenneth successfully guessed who Rebecca was just by feeling her pair of hands. 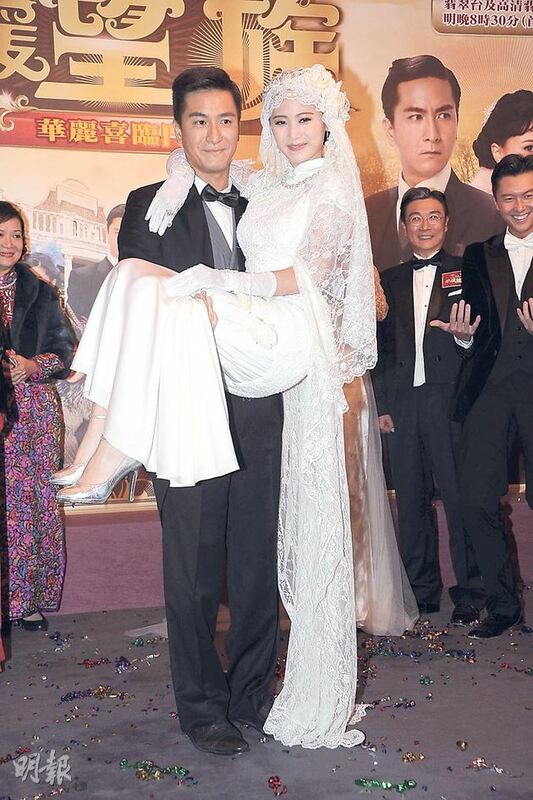 Tavia attended the promotion with a leg injury, but when she changed into the wedding dress, she still displayed a blessed look on her face. She expressed although she has worn wedding dresses several times, she is still looking forward to her future marriage, "When I was younger, I envisioned myself getting married and having children at age 25, but now I don't really think about it anymore. Leave it all to fate. A life with just two people isn't bad either." Tavia believed children aren't used to keep her other half. When asked if she has met her Mr. Right yet? Tavia said: "I hope. (Him Law?) Still in the observation stage, need some time to get to know him more. Work is the priority now." When speaking of Him's recent rumor with a girl from Beijing? Tavia casts her vote of trust for him, "I just think this is fabricated news. There is no need to ask or mention it. It's old news, nothing special. This month is 'fabricated news month'. After all, he is a person worth my trust." Jess Shum was spotted on a date with her new wealthy boyfriend. She smiled and said since youth, she spends a lot of time dreaming of her future wedding, but she and her boyfriend just started dating, so there are no plans for marriage yet. 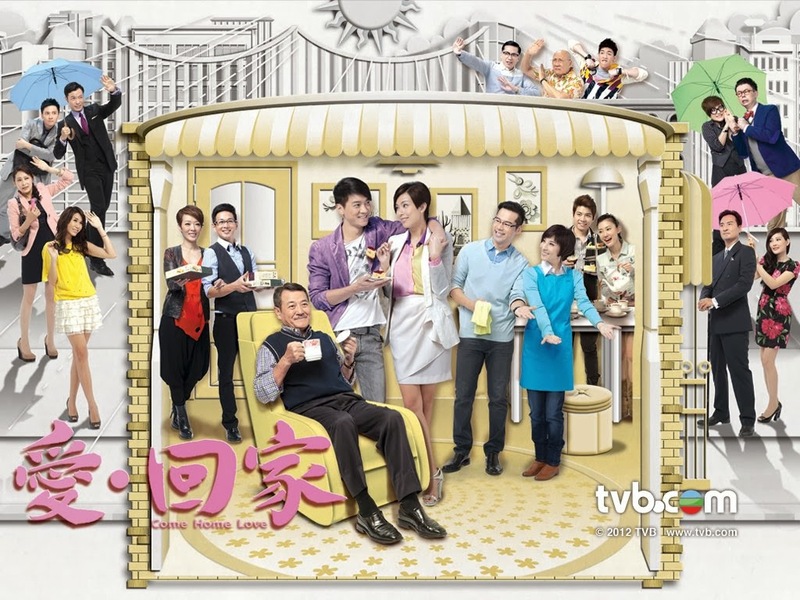 Also, it's been a while since 'Siu Long Lui' Idy Chan has participated in a TV series. She hoped everyone will not think too excessively of the old times, she said: "Siu Long Lui is too long ago, I'm not at the suitable age to be her anymore. Nobody should be out of touch with reality, it's not practical!"